Hey everybody, thanks for your continued support of my sports and fitness blog. I recently had a slight setback in my rehab, so I wanted to talk about something that always cheers me up-American Football. I was watching an NFL game last night and saw an advertisement for the Pro Bowl, and that the fan voting is ending soon. If you guys don’t know the pro bowl is like the All Stars game in Major League Baseball or the National Basketball League. For the last couple years, the NFL has allowed fans to participate in this voting which used to be only by players and the media. Fan votes are not weighted the same as you can vote as many times as you like, but this new idea has really helped immerse the fans in what is now known as the worst game of the season. I submitted my only pro bowl vote earlier today, and I think the idea of having fans vote is pretty cool. Of course, it can backfire with the internet like when people tried to make an all-white NBA all stars game. Some years undeserving players receive large amounts of fan votes thanks to pranks, but the NFL usually sorts this out. This year they have had the most limitations on the votes while also having them be the easiest to participate in however, with the ability to vote using a twitter of Facebook status. This is very helpful when the player you want to vote for is not on the official ballot, but usually there is a further reasoning for that and the player will not be voted in regardless. 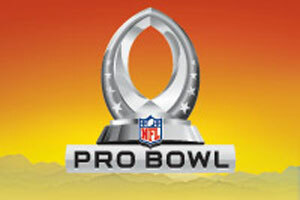 If you guys haven’t vote now for the NFL Pro Bowl! Hope you have a great week, Joe out.